Take your chance at throwing the footballs through two different size holes. Game can be set up in less than five minutes and can be used indoors or out. Comes in a wheeled carrying case. 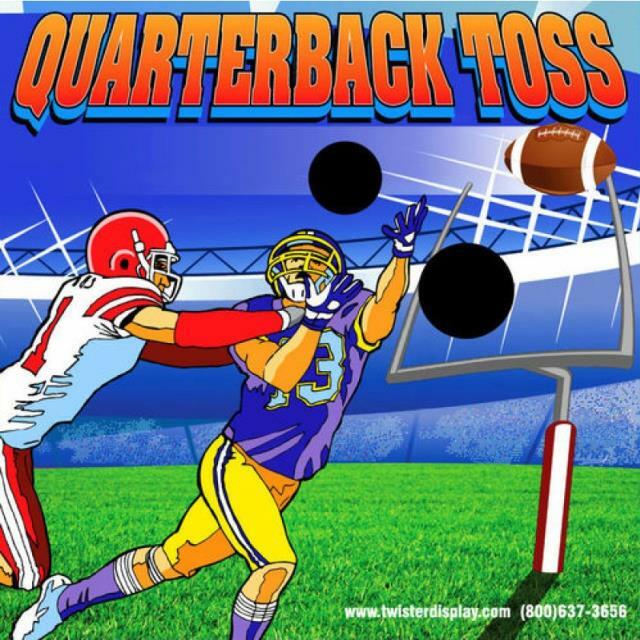 * Please call us with any questions you may have about our quarterback football toss rentals/sales in State College, serving Central Pennsylvania.